MARINAL builds one-piece reinforced concrete lap pools, specially created for swimmers. The lap pool is a long, narrow and rectangular pool, designed to swim laps without having to turn around too often like in a pool with conventional dimensions. This pool model is not recommended for families with children because of its narrowness; a more conventional pool or with rounder shapes will better suit younger ones. 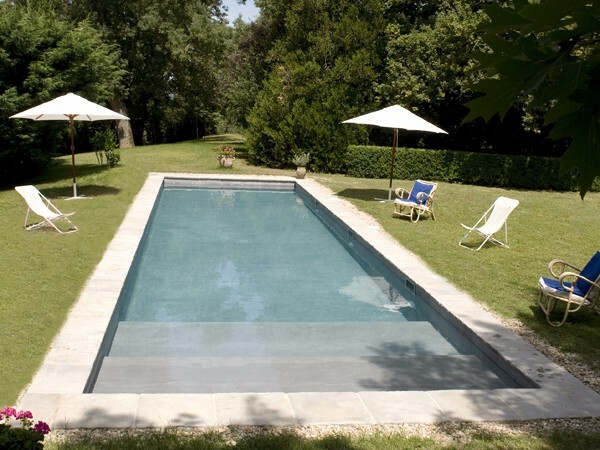 The lap pool is a pool specially designed to swim laps in a private environment. 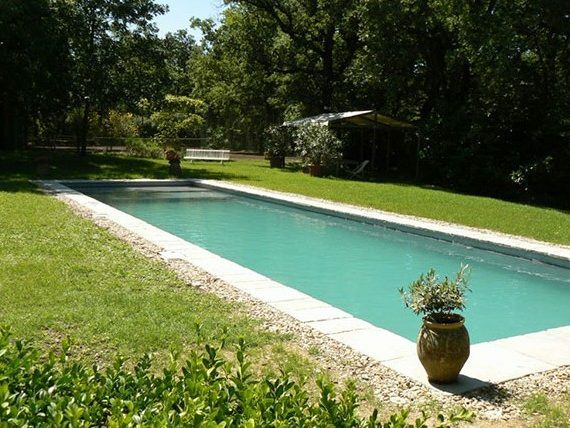 The long and narrow layout of the pool put the water forward in the environment of your garden. With a lap pool, you will have the pleasure to swim peacefully at home, in your own environment. The lap pool is now a very trendy pool model in homes where there are no more young children. As a lap pool is dedicated to the practice of swimming, its design is optimised along the pool’s length. 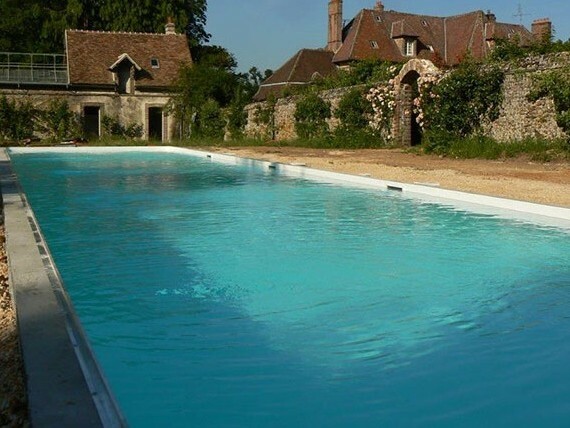 In general, the pool is 3 metres wide and from 10 to 25 – or even 30 – metres long. The ideal length for swimming is 15 metres. The pool is not necessarily deep: from 1.10 to 1.60 metres. The lap pool is to be considered for physical training. Combined with a counter current system, swimming will be even more challenging. The counter current system is perfect to practice a more intensive swimming. It also reduces the length of your pool project. The price of a one-piece reinforced concrete lap pool will depend on its dimensions, as for a pool: length, width, depth and construction constraints of the ground. The installation of a counter current system is an option to choose at the same time as the construction of the lap pool, in order to pass the necessary pipes and connections through the concrete structure. Contact us for a tailor-made assessment of your lap pool project. We will provide you with the best advice.